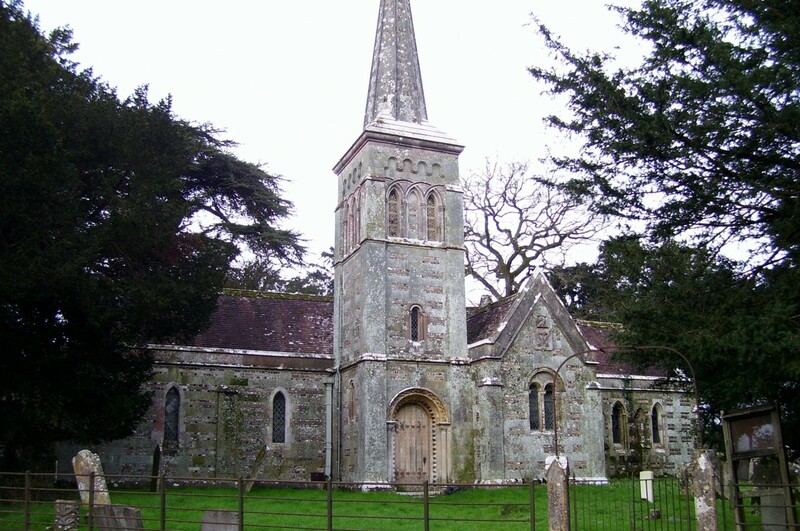 BOY SAINT: St Kenelm, the saint who is dedicated to the redundant church for Stanbridge and Hinton Parva. He was murdered at the age of seven. 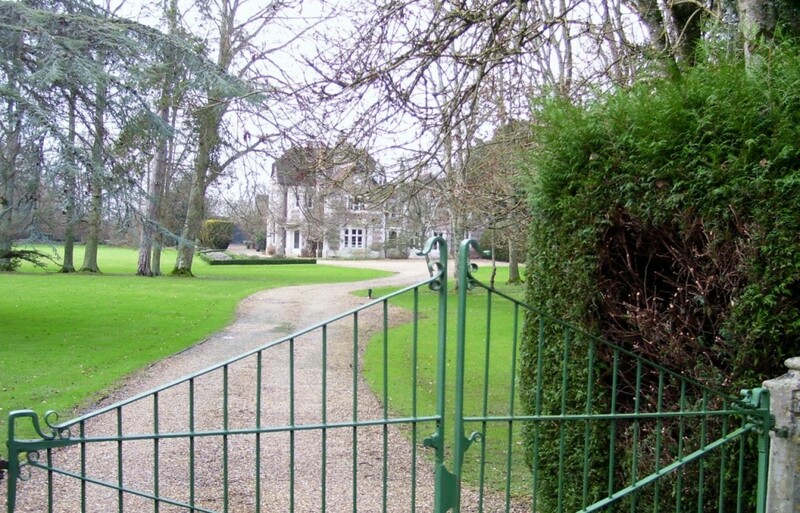 COUNTRY HOME: Looking down the driveway towards Stanbridge House. HOLY HERITAGE: St Kenelm’s is not open to the public but contains the sculpture inside it said to be a caricature of the boy the church is dedicated to. 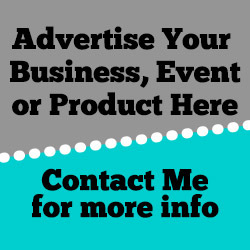 ADD ONS: These buildings which include Dumpton’s School are thought to be former estate cottages to the Gaunt’s Estate. THATCHED PALACE: Alice Lodge, the gate house to the entrance to Gaunt’s House, Stanbridge, near Wimborne. A REDUNDANT church dedicated to a murdered boy saint and a building that could have come out of the Grimm’s Fairy Tales dominate a hamlet along an East Dorset road. Stanbridge and Hinton Parva are hamlets that are dotted around the B3078 road between Cranborne and Wimborne and their unique architecture caught the eye as I was driving around the area catching some photographs of the flooded fields. Besides the hamlets, there is also a mill and two farms. The parish of Hinton Parva is barely three-quarters of a mile by half a mile lies along three miles of low-lying land either side of this extremely busy road. The hamlet of Stanbridge is not devoid of life with a bustling garage that is regularly servicing cars of local residents. Catching the eye is the majestic Stanbridge House that boasts incredible views over the River Allen and an imposing driveway. 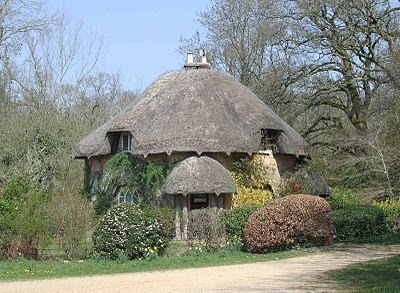 Looking at Alice Lodge, the gate house to Gaunts House in Hinton Parva/Stanbridge, I let my imagination run riot and was looking to see if the witch in Hansel and Gretel would open the door and pounce on any unsuspecting person. The parish is sometimes called Stanbridge and this literally means “stone bridge” from the old English words “stan” and “brycg”. The church is dedicated to St Kenelm, of which they are only seven in the country dedicated to this name. The original building was replaced by an estate-style church in the neo-Romanesque style. 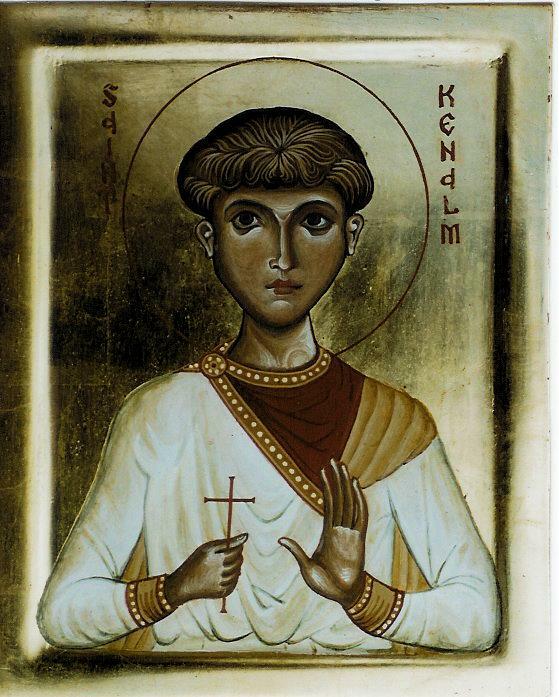 St Kenelm is said to be a Saxon boy saint venerated in medieval times. He was murdered at the age of seven and was mentioned in The Canterbury Tales. With some irony, St Kenelm is only one of seven churches dedicated to this boy. Over the west door of the church is a 12th Century sculpture of an angel holding a book to his breast with his right hand, a cross in his left hand and he is standing next to a giant butterfly and it is alleged to be a representation of St Kenelm himself. It retains a Norman chancel that includes a nave, transepts and a south porch containing a tower and spire with four bells. To celebrate Queen Victoria’s Diamond Jubilee in 1897, stained glass windows, a lectern, a new font and a chalice were presented to the church by Sir Richard. The church was formerly a chapel used by the Dumpton boys prep school when it occupied Gaunts House before moving to Wimborne. People could for forgiven for thinking the houses further along the road from St Kenelm’s Church are not alms houses but according to English Heritage, they were former estate cottages – possibly belonging to the Gaunt’e Estate and now house Dumpton’s School. The church can be seen from the roadside but it is abandoned and cannot be viewed by the public. The manor linked to this parish may have been linked to Hinton Martell. The Stagg family were in residence at the manor for several generations after the reign of Elizabeth I, and they were in turn succeeded by the Lewens and the Glyns. The Glyn’s family seat is Gaunts House but after the First World War, they were forced to sell property in order for them to afford the death duties. Sixteen families were listed as living in Hinton Parva at the 1901 census. 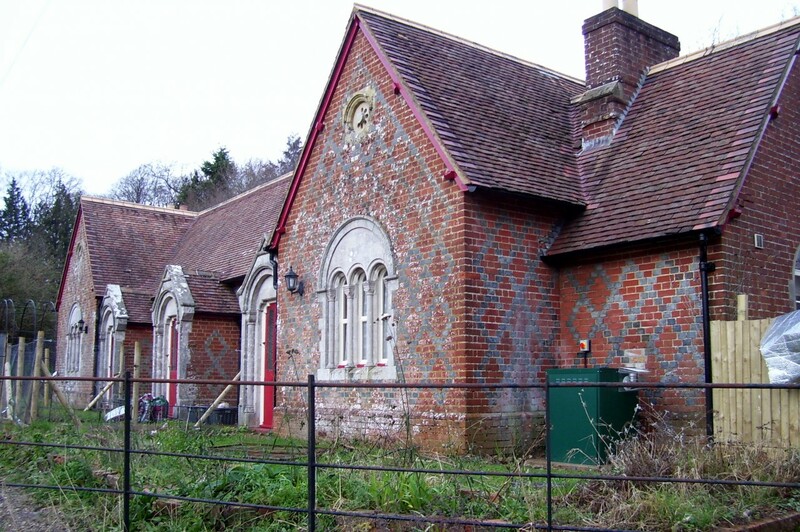 The row of cottages at Stanbridge are described as almshouses in the 1881 census of Hinton Parva. They do not house Dumpton School, which moved from Gaunts House to Dean’s Grove House near Wimborne in 1988. There are quite a few inaccuracies here I’m afraid. The church was open to the public when I went last year and easy to access. The only parts of the church which I believe to be Norman are parts of the chancel arch including the two pillars and the carved tympanum over the door. The rest is Victorian. I’m not sure what you mean by Stanbridge house as the main large stately house is Gaunts house and is still owned by the Glynn family and is run now as a retreat and centre for new age philosophies and sir Richard Glynn was very helpful when I studied the church in 2005. The alms houses have always been alms houses as far as I can tell.